In Ohio, the execution took 26 minutes, as the inmate gasped and snorted. In Oklahoma, it took 43 minutes until a conscious inmate died of what the state said was a heart attack. In Arizona, it took nearly two hours, with the inmate "gulping like a fish on land." The three worst botched executions this year had at least one thing in common: The states all used a drug called Midazolam to sedate the inmate, with varying levels of success. Botched executions in other states led to questions in Missouri, a state as secretive as the others. Top Missouri officials were asked about the state's methods. They defended their own protocol each time, pointing out that Missouri doesn’t use the same drugs as those other states. But an investigation by St. Louis Public Radio shows that wasn't entirely true. According to documents we obtained, Missouri has used Midazolam in every execution since November of last year. In all nine executions since then, Missouri's execution team has injected the condemned with significant amounts of the sedative. This is occurring in spite of the fact that Missouri's top corrections officials testified Midazolam would never be used in a Missouri execution. "Why will there be no use of [Midazolam] in an execution?" a lawyer asked Missouri's Director of the Department of Corrections, George Lombardi during a deposition in January. "Because we have no intention to do that. We have Pentobarbital that we use," Lombardi responded. "Well, I -- the subsection B says that if the Department Director -- which is you, correct?" "Determines that a sufficient quantity of Pentobarbital is not available, then Hydromorphone or Midazolam will be used. Are you saying that --"
"And I'm testifying right now to tell you that will not be the case. We will not use those drugs," Lombardi said. That deposition took place in mid-January. By then, Missouri had already carried out two executions in which the inmate received Midazolam, and has since carried out seven more using the drug, according to records obtained by St. Louis Public Radio. In a separate deposition that also took place in January, Director of Adult Institutions David Dormire originally said Missouri didn't even have Midazolam. Later in the deposition, he changed his story. "I was reminded that we had purchased those items as a back-up," he said. But the documents show that the Midazolam was not just a back-up: It has in fact been used in each execution since November. What's more, these two men who offered assurances that the drug would not be used have signed off on its use each execution. "We had no idea," Cheryl Pilate, an attorney who has represented several death row inmates said, after St. Louis Public Radio provided her with documents showing the drug's use. “It’s very disturbing that Midazolam hasn’t been disclosed. State law requires drugs in protocol to be disclosed." "There may be a serious violation of state law going on." The new documents raise several concerns. One is that the men carrying out executions have been deceptive about the drugs they have used. Another is that Midazolam has been one of the drugs used in a growing number of botched executions throughout the United States. And finally, there are questions about when the Midazolam is administered. Lombardi acknowledges in a deposition that a drug called "Versed" could be given as a sedative, but does not offer that Versed and Midazolam are the same drug. He said the sedative is given either at the request of the inmate, at the request of the state, or at the request of the state's execution team. Lombardi also said the time that the drug is given varies, but is often a few hours before the state's main execution drug: Pentobarbital. If that is the case, Midazolam is being injected without the presence of state and press witnesses. In other words: There is no one to provide oversight if things go awry. Lombardi said the sedative was used to calm the inmate. However, the doses the state has used would do much more than calm the inmate, according to medical experts we spoke with. "A typical sedative dose of Midazolam would be in the range of 0.5 to 2 milligrams, depending on the patient's size and their individual sensitivity or resistance to the drug," said Dr. Mark Heath, an anesthesiologist who has testified as an expert against several states' lethal injection protocols. The amount of Midazolam Missouri has used varies quite a bit -- from 2 milligrams to 6 milligrams -- and the dosage has been consistently going up. In addition, two inmates have been given Valium on top of the other drugs. Missouri has previously maintained that Pentobarbital was the only drug in its one-drug protocol. In the most recent execution, the state administered 6 milligrams of Midazolam and 5 milligrams of Valium. After receiving that amount, "I would imagine you would be difficult to arouse," Dr. Karen Sibert, another expert we spoke to, said in an interview. "You would tend to be so deeply asleep that your airway might obstruct." For the most part, the documents St. Louis Public Radio obtained do not reveal the times the drug is administered, and the Department of Corrections refused to disclose this information. Except on one page, where a member of Missouri's execution team wrote "25-Feb-14" and "2331" next to Midazolam, corresponding with 11:31 p.m. the night before Michael Taylor's execution. That would mean the drug was injected 30 minutes before Taylor's execution warrant was valid -- and roughly 10 minutes before witnesses are ushered into the viewing area. Read the documents for yourself below or click "Notes" for the important parts. "The public is denied the opportunity to witness an execution through the press," Pilate said. "And the prisoner's means of self-expression seem to be denied. These drugs could impact the ability of these men to say their last words." Missouri has said its executions over the past year have only taken about 10 minutes each. But as Pilate points out, that estimate is very misleading considering what we know now. Pilate compares it to a play that’s carefully choreographed by the stage managers: the state. They administer the drugs, she says, off-stage so that the actor -- the inmate -- can’t do anything off the state’s script. “It’s deceptive. It’s a sanitized, deceptive production," Pilate said. "Right now we have a stage-managed production. If we’re doing executions, we should see it from beginning to end." We weren't aware of how far the state's secrecy extended in Missouri. We knew the state hid the names of those carrying out executions. We knew the state attempted to hide the supplier of its drugs. But we didn't know the state had tried to hide what drugs it's using, and how long executions really take. We approached the Department of Corrections with this information, and the apparent lie in their leader's sworn deposition. The department declined to answer questions, issuing only a brief statement that said "the department will continue to carry out its execution duties in a humane manner using pentobarbital." The Department of Corrections also refused to answer our questions on who has requested the drug be injected each time: The inmate, the doctor, or the Director. After our report aired, Corrections spokesperson David Owen said Lombardi and Dormire did not lie under oath. “The statements made by corrections officials under oath were accurate and in accordance with the above facts; reporting the contrary is reckless and untruthful,” Owen said. We asked the Corrections spokesperson what distinction he was drawing between the drugs used in an execution and the drugs used as a sedative. He did not immediately respond. But it appears he is not counting Midazolam as an execution drug because it isn’t the drug that kills. However, in the previous three-drug cocktail protocol, the drug that sedated the inmate before the lethal drug was still part of the public, written protocol. Pentobarbital, Missouri’s execution drug that kills, is a sedative as well. We pointed out Ohio used 10 milligrams of Midazolam in its botched execution, and that Missouri has used as much as 6 milligrams of Midazolam, combined with 5 milligrams of Valium. When asked if he would characterize Missouri’s dose as “heavy” as well, Owen did not immediately respond. As the head of Corrections, Lombardi is an appointee of Governor Jay Nixon. We offered Nixon's office a chance to comment on this investigation. The Democrat has been a staunch defender of Missouri's expanding execution secrecy. We asked Nixon if he still supported Lombardi in spite of the deception. His office did not return our requests for comment. Although Attorney General Chris Koster, also a Democrat, has expressed concern over Missouri's "creeping secrecy" around the death penalty, his office has vigorously defended the practice in court. A spokesperson declined to comment, directing questions to the Department of Corrections. The news of Missouri's use of the drug comes as other states that have carried out executions with Midazolam are taking a break -- at least for now -- due to the controversy surrounding three botched executions that used the drug. Midazolam "has been implicated in three of the most badly botched executions of 2014," said Richard Dieter, executive director of the Death Penalty Information Center, a non-profit that opposes the death penalty and tracks how it is carried out. "We don't know exactly what happened in all of those executions -- there hasn't been an independent investigation yet," Dieter said. "But certainly the fact that they've had this problem and Midazolam is a common denominator, it indicates more needs to be done before it's used again." The amount used in each state varies greatly. Ohio's protocol called for 10 milligrams of Midazolam, while Oklahoma's specified 100 milligrams, and Arizona's said 50. At the same time, a man that has testified in favor of Midazolam's use in executions has said he will no longer do so. Dr. Mark Dershwitz, one of the few medical experts willing to testify in support of states' execution practices, supported Ohio's execution protocol. The execution lasted 26 minutes, with the inmate appearing to struggle against his restraints. Dershwitz says he won't testify in favor of states' execution methods, out of concern that his role would jeopardize his standing with the American Board of Anesthesiology. 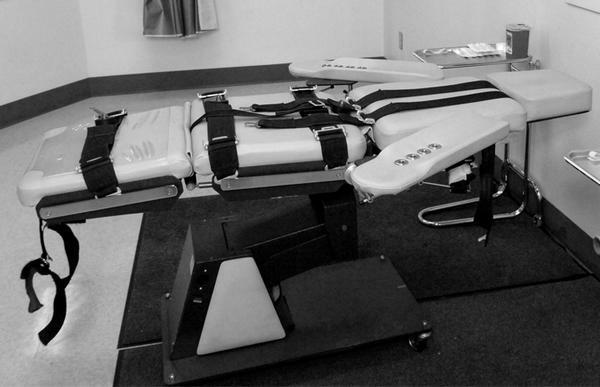 Dershwitz has testified in favor of lethal injection methods for 22 states, including Missouri. The loss of Dershwitz as an expert is a substantial blow. It means Missouri and other states will be scrambling to find an expert willing to support their practices. And those practices are scheduled to continue -- soon. 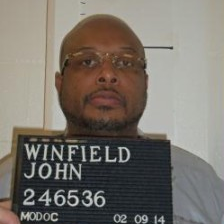 Next week, Missouri plans to carry out another execution. Unless something changes, Earl Ringo will be put to death on September 10 for murdering two people in Columbia in 1998. And if the past nine executions are any indication, Ringo will likely be injected with more drugs than the state has previously let on. 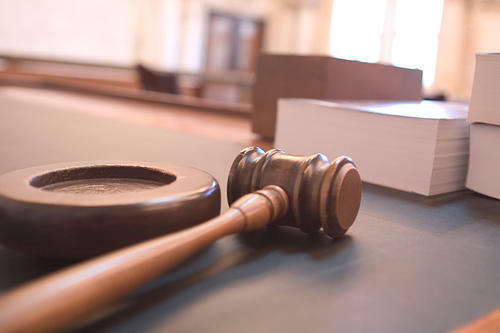 A federal appeals court in St. Louis has set a September hearing in the case of a Missouri man whose late May execution was delayed by the U.S. Supreme Court hours before he was scheduled to die.